Apartamenty w Poladze "Vienaragio apartamentai"
Vienaragio apartamentai ("Unicorn apartments") - luxury apartments for rent in the most beautiful place of Palanga just 50 meters to the beach and 10 meters to the Palanga Botanical Park! Area 38 sq m. For 2-4 people. With a separate entrance. On the first floor: kitchen, dining room (table, 4 chairs), a pull-out sofa bed, TV and a toilet. 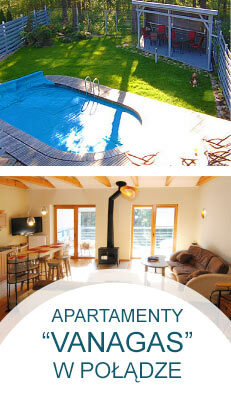 On the second floor: balcony, 2 single beds or 1 double bed, closet, desk, shower, TV, stereo. Area of ​​52 sq m. For 2-4 people. With a separate entrance. On the first floor: kitchen, dining room (table, 4 chairs), a pull-out sofa bed and a toilet. On the second floor: fireplace, pull-out sofa bed, 2 armchairs, coffee table, TV. On the third floor: a double bed, on request - baby bed, TV, closet and shower. Area of ​​65 sq m. For 4-6 people. With a separate entrance. On the third floor: balcony, in one bedroom double bed, in another sofa-bed, on request - baby bed, TV, closet and shower. For people living in apartments, we apply discounts in the restaurant "Vienaragio malunas"
The price includes: room cleaning and bedding changing every four days. 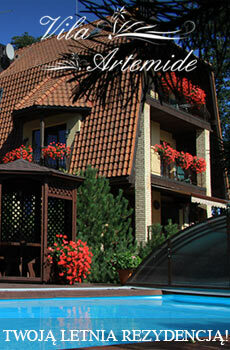 Additional person per apartment - 6 EUR / night. Check-in from 15:00 till 18:00, check-out - from 8:00 till 12:00. Discounts are offered for loyal guests. 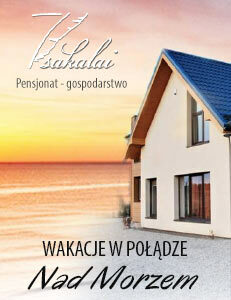 Apartament address: S. Dariaus ir S. Gireno street 5, Palanga, Lithuania.